The Raleigh Motus electric bike combines the world acclaimed Raleigh name with e-bike technology front-runners Bosch to create the Raleigh Motus electric bike, bringing a perfect combination of efficiency and style. The Raleigh Motus allows for electrically assisted journeys up to a staggering 190km on a single charge, perfect for the commute to work or a weekly leisure ride. The Motus comes in two options, a cross-bar frame (see left) or a low-step frame, which makes for easier mounting and dismounting. 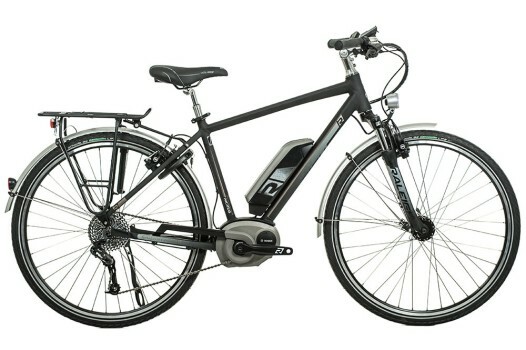 The Raleigh Motus electric bike features a powerful Bosch Active Motor with long life 400Wh battery, fast-stopping Magura HS11 Hydraulic rim brakes and responsive SRAM Via Centro 10 speed gears with a wide ratio range to suit long climbs or nipping along the flats. The frame is a light weight alloy 6061 frame with a Suntour Nex suspension fork to soak up bumps. 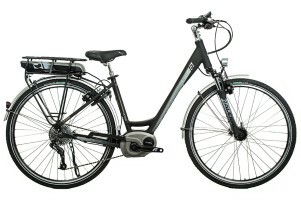 Finally, to state the bike’s commuter credentials the Motus comes with Shimano dynamo hub powered front and rear lights. 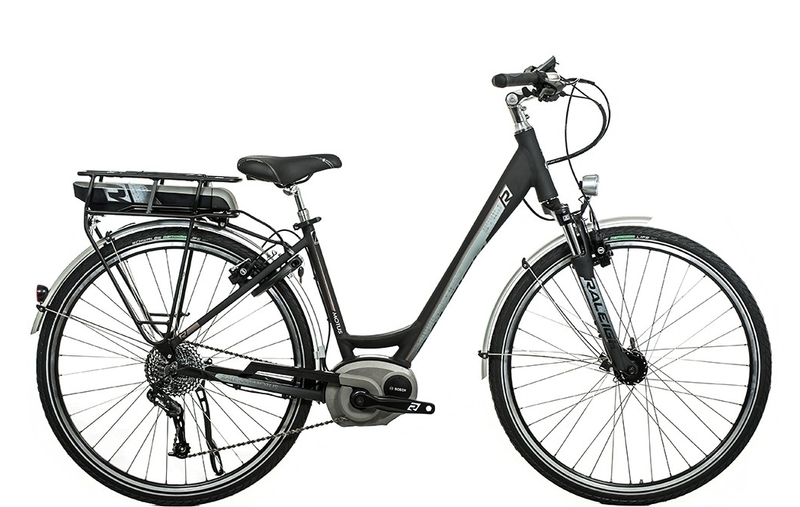 Overall, the Raleigh Motus electric bike is very affordable and represents exceptional value for money at £2,000 when considered against certain other competitors. This entry was posted in News and tagged Bosch, Crossbar Electric Bikes, Electric Bike, Front Suspension, Raleigh Electric Bikes.